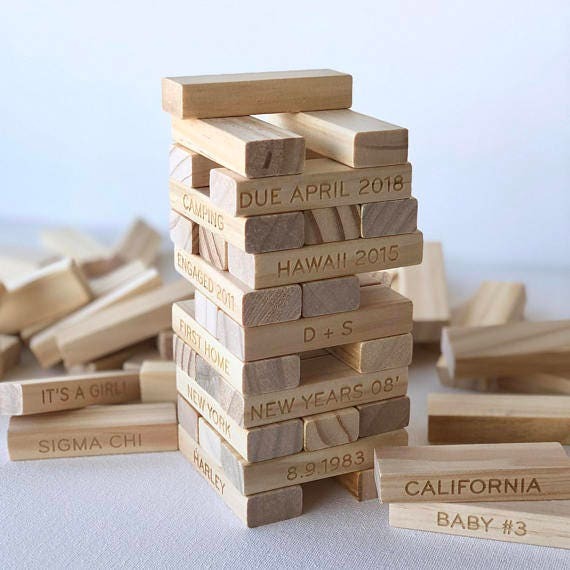 The original wooden block stacking game customized with your favorite memories! Perfect for the holidays or anniversary gifts! 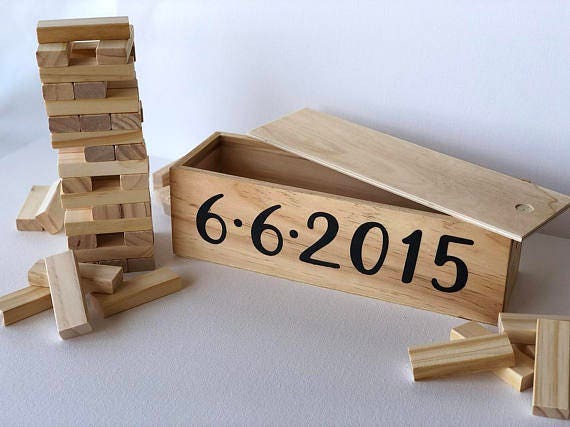 Price includes a custom engraved wooden box for secure and easy storage of the game and blank pieces. 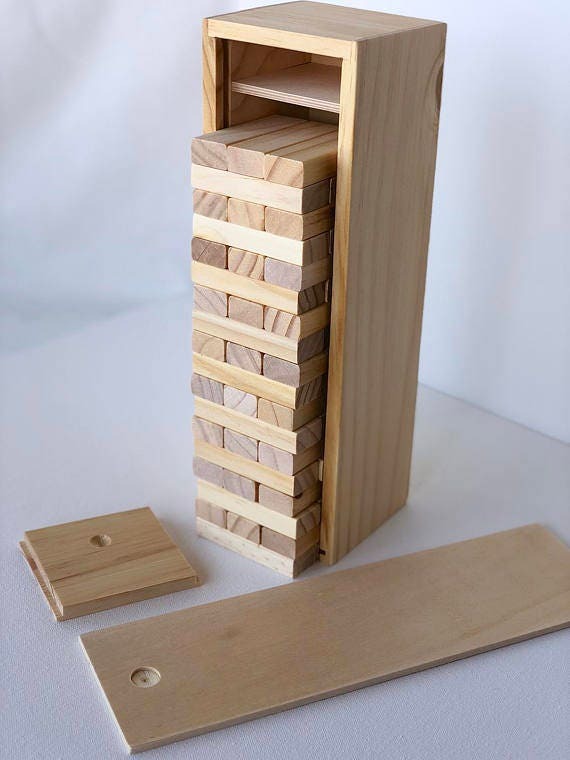 - Game box measures approximately 12 x 4 x 4 inches (12.25Lx3.875Wx3.625H to be exact ). 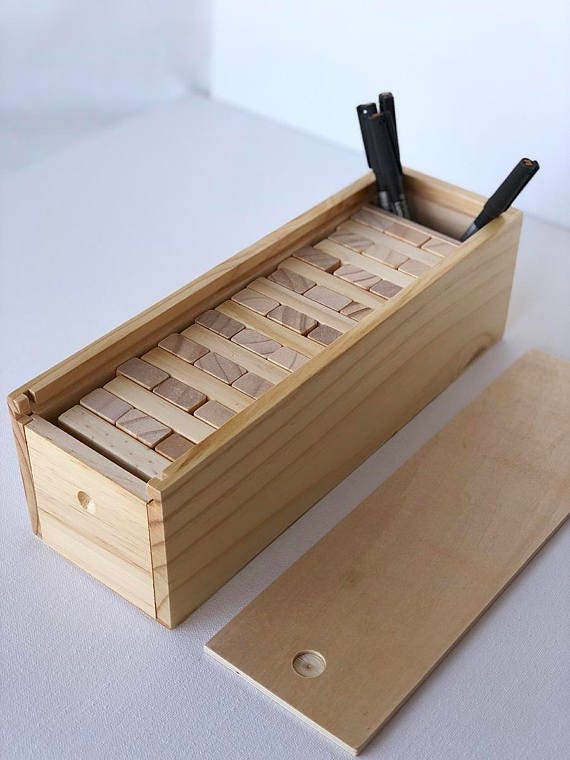 It features a sliding top and one end for easy game setup and play! 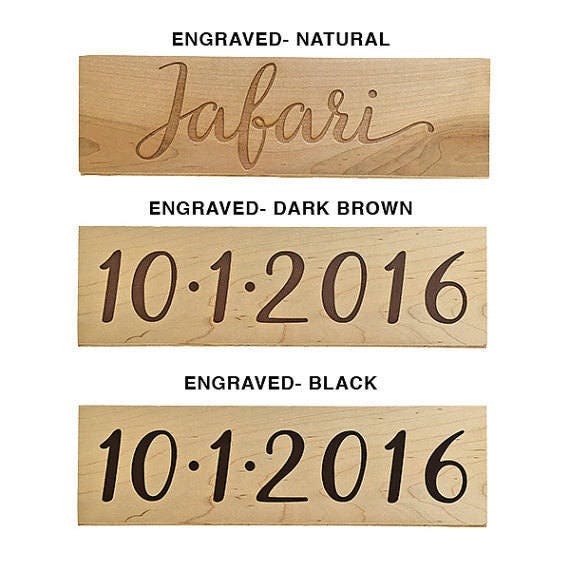 * Note, due to the nature of wood, there will be light and dark variations in this finish on the box and the engraved pieces. 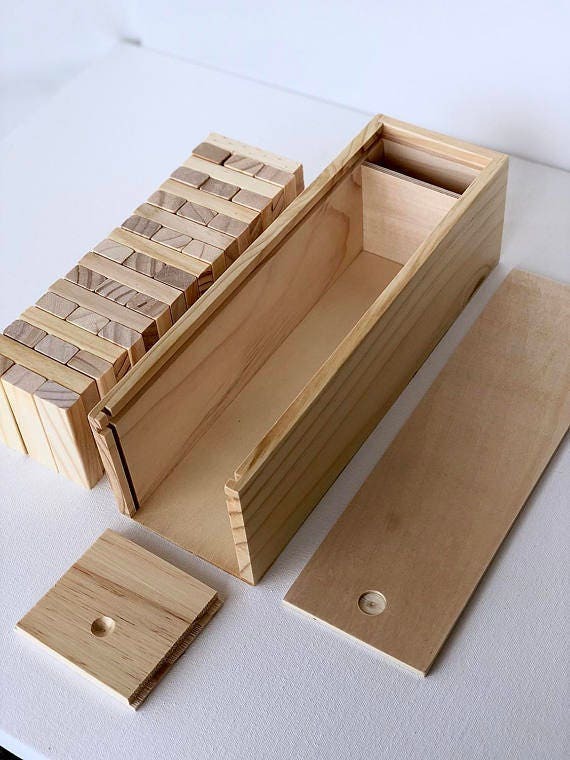 As with all wood items, the grain and color may vary from set to set. The engraving applies to the pieces that come with the box set, not extra pieces. 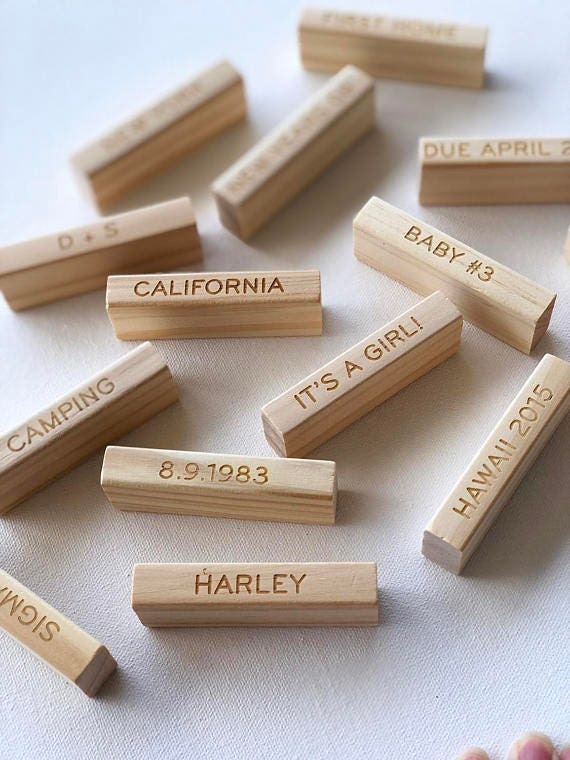 - The blocks are engraved in natural wood on one long skinny side of each piece. 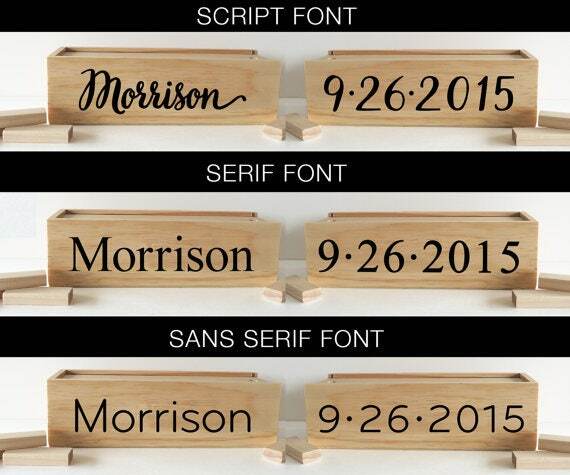 You can choose to engrave the full set, or half the set on one side. - The font for the pieces is limited to serif or sans serif and 13 characters including spaces. 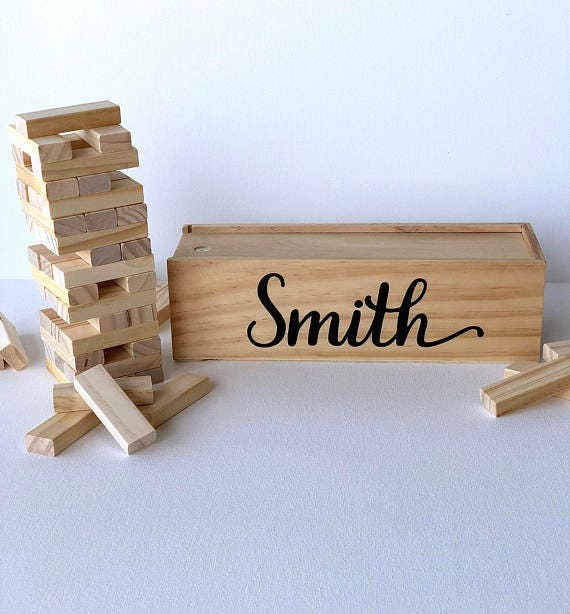 After purchasing we will send you a form to fill out with your custom phrases/words. Please allow 1-2 weeks for item to be customized before shipping after the phrases have been received.